STS-1 was the first orbital flight of NASA’s Space Shuttle program. The first orbiter, Columbia, launched on 12 April 1981 and returned on 14 April, 54.5 hours later, having orbited the Earth 37 times. 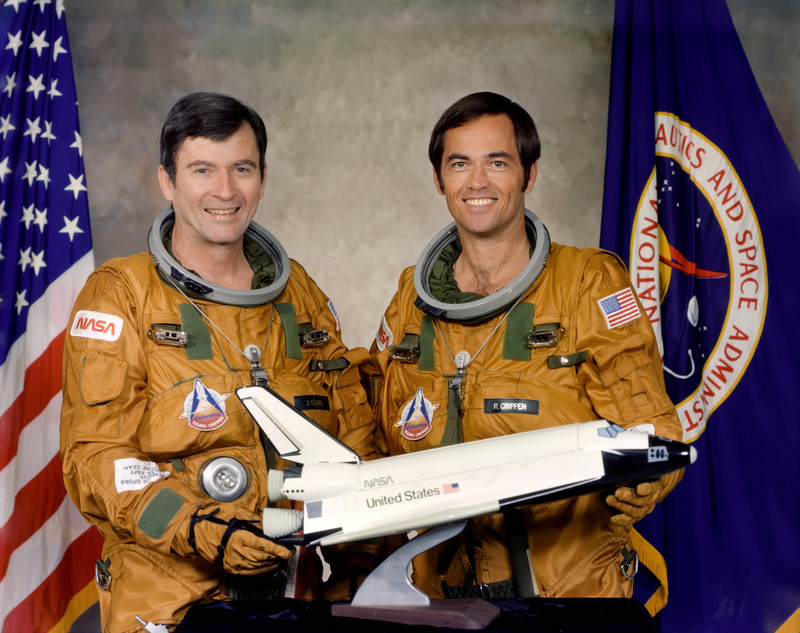 Columbia carried a crew of two – mission commander John W. Young and pilot Robert L. Crippen. It was the first American manned space flight since theApollo-Soyuz Test Project in 1975. STS-1 was also the only maiden test flight of a new US spacecraft to carry a crew, though it was made possible by atmospheric testing of the orbiter and ground testing of the space shuttle system.